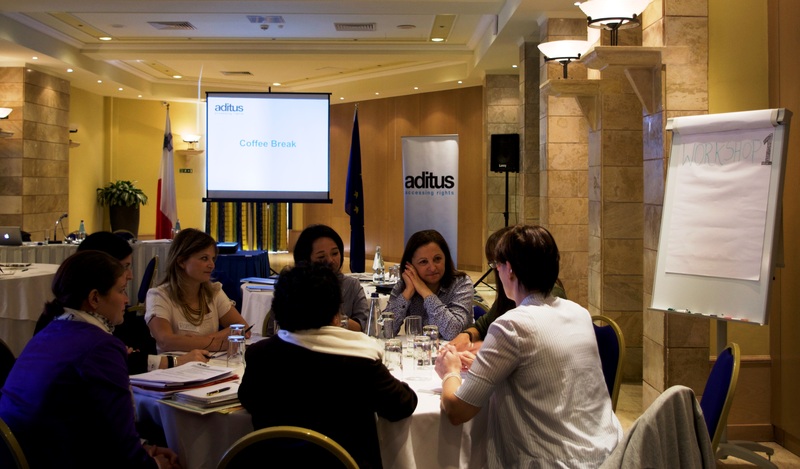 On Friday, 8 November, aditus foundation held its Networking Roundtable Meeting, the culmination of the first phase of the Malta Integration Network(MIN) project for the integration of third-country nationals (TCNs) in Malta. The meeting’s invited guests, that is, local and international integration stakeholders, reflected MIN’s collaborative governmental, academic, public and civil society dialogue on the best practices for ensuring the full inclusion and participation of TCNs in their adopted countries — for the sake, ultimately, of introducing such integration practices in Malta, which currently lacks any formal, national integration policy. The meeting gathered representatives from, for example, the Portuguese High Commission for Immigration and Intercultural Dialogue, the University of Leiden (Netherlands), the Austrian Integration Fund, Italy’s UNAR (National Office Against Racial Discrimination), Migrant Voice from the UK, Denmark’s Council for Ethnic Minorities, the Integration Centre from Ireland, and the Migration Policy Group and European Council on Refugees and Exiles from Belgium. The participants from Malta included representatives from TCN communities, the National Commission for the Promotion of Equality, the Employment and Training Corporation, SOS Malta, the Faculty for Social Well-being at the University of Malta, and Claudine Buttigieg, MP and Opposition Spokesperson for Civil Liberties. The participants explored integration best practices through workshops on education and vocational training, political participation, and regulatory bodies and institutional responsibilities. These were followed by plenary and panel discussions on international integration strategies and successes. 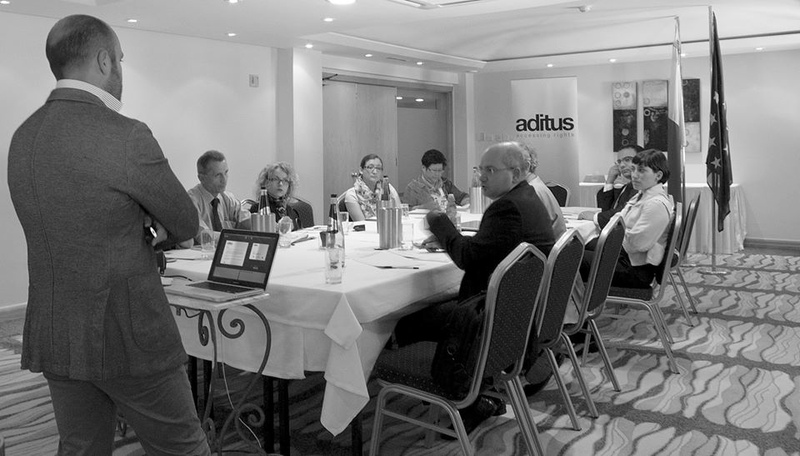 The innovative MIN project, founded in January of this year and soon to enter its second phase, will continue to build on its findings to date — and the lessons of last week’s Networking Roundtable Meeting — to produce concrete and sustainable recommendations and the establishment of integration indicators for the key frontline service providers working with TCNs in Malta. The indicators will provide monitoring and coordination tools to improve, measurably and formally, the overall level of TCN integration and support. 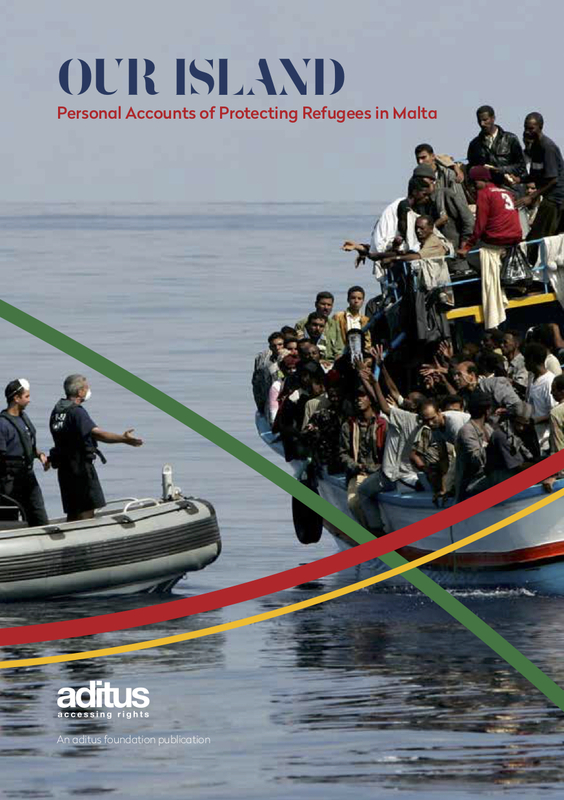 Over recent months, representatives from civil society, trade unions, the Malta government, academia and various migrant communities came together with the purpose of identifying and proposing policy and intervention measures necessary for effective migrant integration. These meetings form an integral part of the ‘Malta Integration Network’ Project, a project implemented by aditus foundation spanning over one year and aimed at producing concrete, sustainable and inclusive recommendations on how to maximise the success of various stages of the migrant integration process..
“It is extremely satisfying to see key stakeholders in migrant integration sit round the same table discussing in an open and equal fashion crucial themes that effect migrants and their integration in Malta.” observed Dr. Neil Falzon, Project Leader of the Malta Integration Network and director of aditus foundation. In the first two of a series of meetings being held, the participants discussed anti- discrimination laws and policies in Malta, including access to redress mechanisms, and labour market mobility, covering issues ranging from employment licences to family reunification regulations. This project is part-financed by the European Union under the European Fund for the Integration of Third-Country Nationals (EIF) as part of the General Programme Solidarity & Management of Migration Flows [2007-2013].